This is one great Razorback hoodie for those of you who want a heavyweight sweatshirt, this one is for you. Made from a blend of 50% Cotton and 50% Polyester, this hoodie will shed the wind, and yet is soft enough to use the sleeve as nose-wiper. Not only is it soft and comfortable, but it is built to last, with double-needle stitching throughout, double-lined hood, 1×1 ribbed cuffs and waistband with spandex, and pouch pocket. 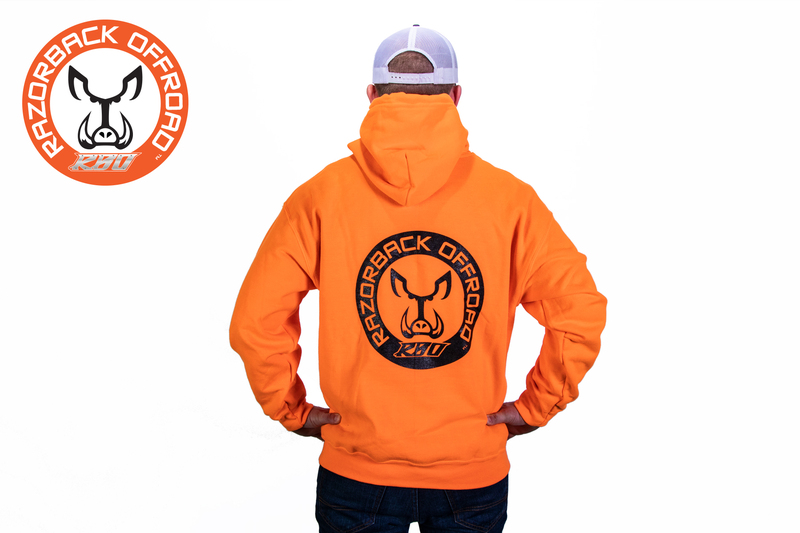 This hoodie will go great with any one of our Razorback hats.